dhtmlxLayout provides a high level of integration with other DHTMLX components such as Grid, Tree, Windows, Menu, and others. The components can be integrated both globally for the application and separately for each layout pane. All DHTMLX components have a slick and clean look which can perfectly match the design of any modern website or app. Using dhtmlxLayout, you can build sophisticated web interfaces in a simple and convenient way. The component provides fast rendering and a wide set of helpful features. dhtmlxLayout provides the ability to easily detach an object from its pane and adjust its size dynamically to a parent container on the page. 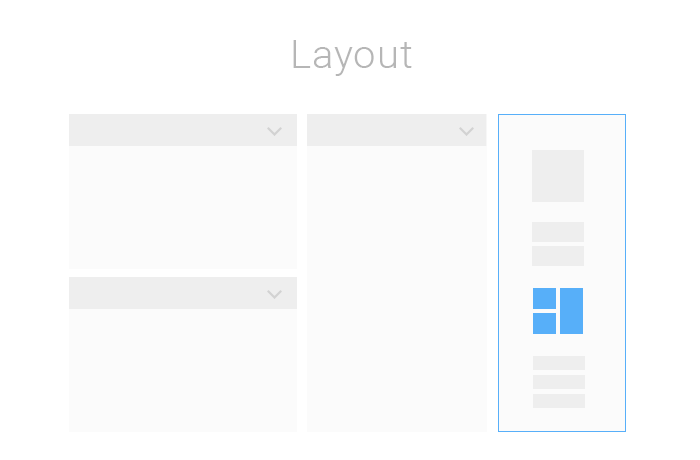 The component also allows you to easily create custom layout patterns and define the UI structure of your app. dhtmlxLayout works perfectly well in all main web browsers (IE, FF, Safari, Opera, Chrome). Our detailed documentation can learn how to use Layout and effectively implement it in your own applications. It provides the detailed information regarding each aspect of the widget.